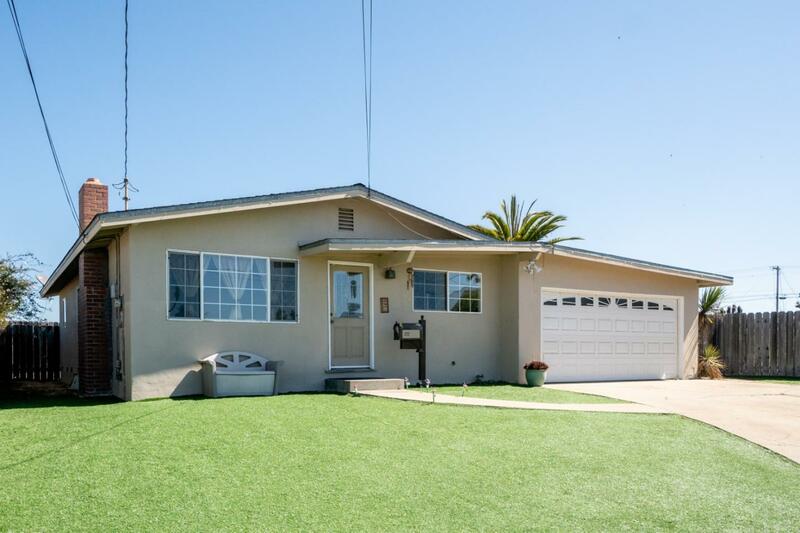 Love love love this light and bright, south-facing, mid-century modern, single story ranch home on a huge lot with room for your RV and/or boat. Near Marina Vista Elementary, wood laminate floors in the living room with spacious bedrooms, closets and an attached garage off of your eat-in kitchen. The layout is just right for entertaining and enjoying an indoor-outdoor lifestyle with extra large front and back yard. Modern updates include painted interior and exterior, a new forced air heating system and double-paned windows. The attached garage offers room for your cars and/or gym or extra space. Outside, enjoy privacy in your large fenced backyard with a nice patio to relax in your sun-belt home. Walk, roll or drive to neighboring schools, shops, restaurants, and the beach.